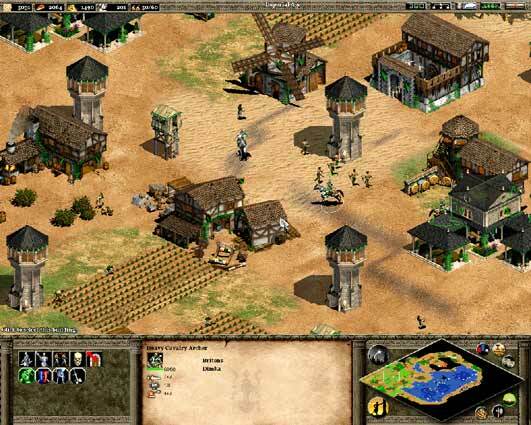 Last night I tried new version of Age of Empires (by Ensemble Studios, which belongs to Microsoft) - The Age of Kings (AoE2). Not bad, they made it conceptually closer to Warcraft, yet kept practically all staff from Rise of Rome. Graphics is good too, yet I think animation was better in AoE or Warcraft. They support resolution up to 1200x1024, and that's big improvement. There are many small new improvements like troops formations, walking through some buildings, gate on the walls etc. Overall if you like this kind of games (real-time strategy) it's a good one. I guess it's too early to say about bugs and problems.